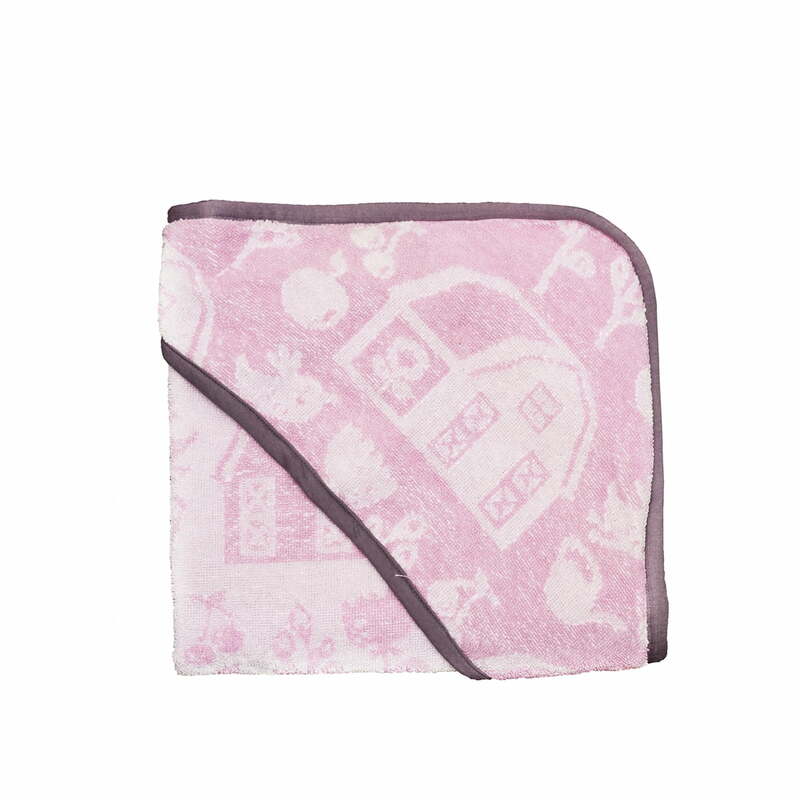 The hooded towel by Sebra from the Farm Collection wraps your child after the bath comfortably in soft cotton. The Sebra towel is available in two different colours for girls as well as for little boys. The practical hood makes drying especially comfortable that makes the little ones feel special. Simply put over the head, the towel stays where it is supposed to and does not shift that easily. The imaginative motif from the Farm Collection by Sebra with tractors, trees and various animals from the farm, stimulates the imagination of the child and makes the towel to a playful textile for the bathroom. Single image of the hooded towel Farm by the manufacturer Sebra for girls. It is made of 100% cotton terry cloth and has been treated with non-toxic dyes. 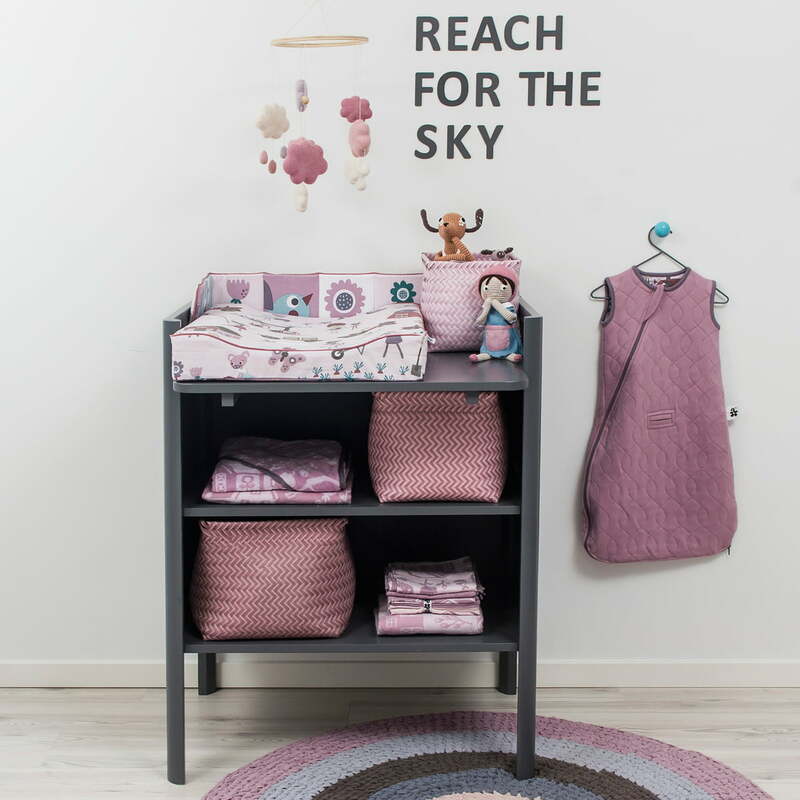 The Kili changing unit by Sebra in dark grey goes well with the muted pinks from the Farm Collection, such as the baby blanket or hooded towel by Sebra and creates a modern room for girls.